Attention, beer enthusiasts (so, everyone? ): It’s that time of year again. D.C. Beer Week is back! Between Aug. 11 and 18, celebrate your love of beer at special events throughout the district all week long. The festivities usually consist of between 100 and 200 events at 50 to 75 venues, said Miles Gray, managing partner of Smith Commons and 2013 Beer Week director. “You don’t really see as many drunk people as one might expect because these are true fans of craft beer, and it’s usually not their first time at the rodeo,” he said. Gray stressed that Beer Week is about community building, not getting wasted. “Getting involved in your local craft beer scene is the easiest (and probably most fun) way to really participate in the growth of your local community,” he said. “Craft beer at its base integrates culinary arts, science, sustainability, local commerce, logistics and so much more. Gray said of the many events planned for this year’s Beer Week, he is most looking forward to the D.C. Heritage Night Concert at Howard Theatre on Aug. 12 and the Beers, Burgers and Baseball evening at Nationals Park on Aug. 15. D.C. Heritage Night is a show featuring five local bands, beer and a whiskey tasting courtesy of George Dickel Whisky. The baseball game sounds just as beertastic. After the Nationals take on the San Francisco Giants, patrons can enjoy an after party full of beer, Shake Shack burgers and live music. Teddy Folkman, co-found of D.C. Beer Week and executive chef/owner of Granville Moore’s, is most excited about the Old Ebbitt Grill’s Craft Brewhaha on Aug. 17 and -- this is the event’s actual name -- “A Rabbi, a Priest and a Minister Walk into a Bar” on Aug. 12. Folkman said he was a little biased because the event is being held at Granville Moore’s, but he also is eager to listen to Rev. 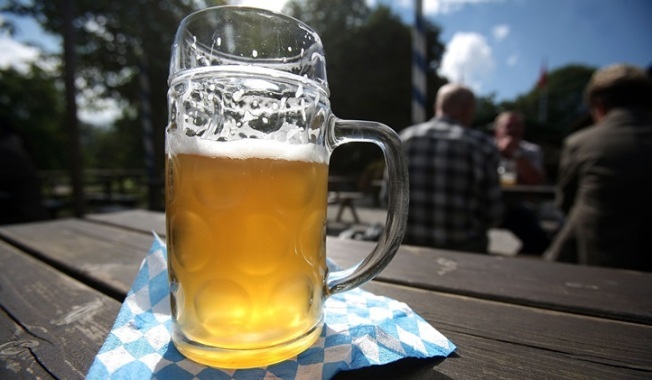 Bryan Berghoef, Father Kirk Berlenbach and Rabbi Eli Freedman discuss how beer and faith are surprisingly intertwined. “It’s cool to have events about theology and beer that talk about their intersection in history,” he said. Get Beer Week updates on Twitter by following @DCBeerWeek.